Throughout the last few weeks I have seen a significant change in turf stress. This is not your typical turf stress that one may see in a standard drought year. There are a few factors that are associated with this summer’s stress; however, the one major contributing factor is the prolonged period of high heat. 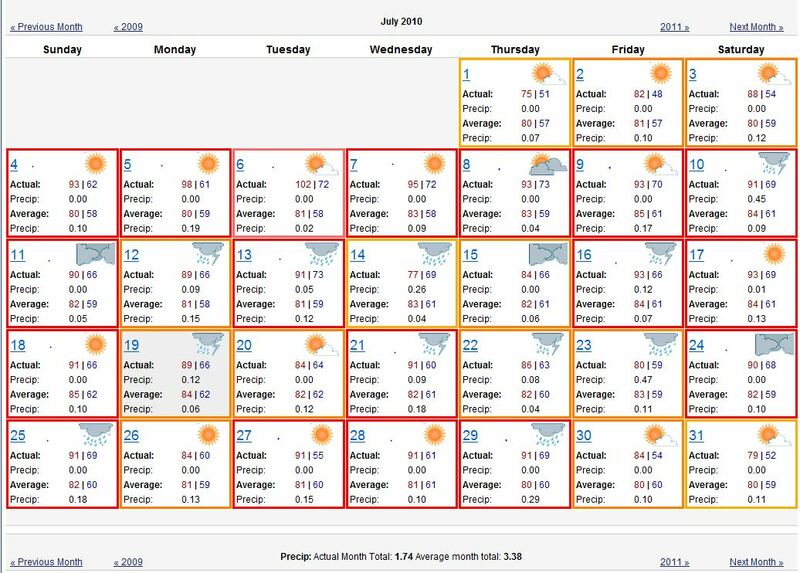 Before I begin to explain the major difference between heat stress and drought stress, I would like you to look at weather last July compared to weather this July. As seen, July brought 18 days above 90 degrees and only 51% of our typical rainfall. 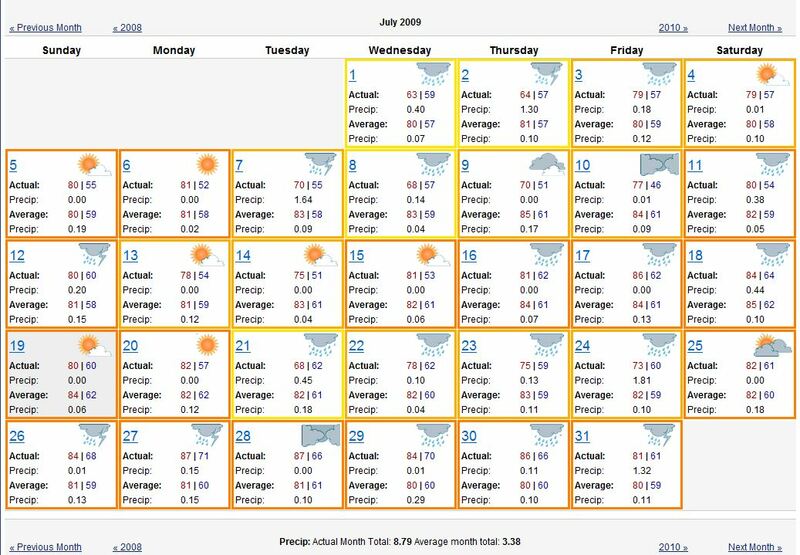 As seen, July 2009 brought 0 days above 90 degrees and 260% more rainfall than normal. When comparing course conditions to years past or others in the area, one MUST consider many contributing factors. These factors include: local climate (heat, rainfall, humidity), water source (irrigate with wells, ponds, or natural water source), age of property, and vision for the course. When considering local climate, you must consider the past climate conditions for that exact area. Just because you live 40 minutes away and have received rainfall twice a week for month, does not mean that the same is necessarily happening at that exact local area of the golf course. Type of water source is another major contributing factor that can make a large difference between golf courses, especially this year. Water supply is starting to get very low in just about any source we use on courses. When water levels get extremely low, bicarbonate levels and other contaminating factors increase, which can contribute to the quality of water that is used for irrigation. Sometimes this can cause a negative side effect in the soils, making the turf manager’s job a lot more challenging. Balancing water quality, soil moisture levels, and soil nutrient levels becomes extremely important at this time of year. The age of the property is typically not something that you would consider when playing a golf course, but it has many contributing factors that affect the conditions. The biggest one is the soil type and quality. If the course is a new construction, the sub-grade and soil type that is used is probably to USGA specifications. This allows for good drainage and good growing conditions to most of the time provide good playing conditions. When soils are older or natural soils are used in constructing a golf course, soil management again becomes very challenging. When you choose the golf course you are going to play this weekend, what are some factors that help you make that decision? Maybe some golfers like firm and fast conditions. Maybe some golfers enjoy beautiful green everywhere. Whatever your desire is, there are many courses available that have different visions on how to prepare a golf course. Remember that not every course is going to play the same because not everyone has the same vision. As most of you have already seen this summer, Stow Acres is dry. This certainly does not take away from the playability factor. Our vision for Stow Acres from a maintenance standpoint is firm and fast. Obviously the weather has made it a little more dry than we would like, but that is okay. Most of the grasses in the rough (without irrigation) are fescue. Although fescue has a high tolerance for drought and heat, it also has a mechanism inside the plant that allows it to go dormant and spring back to life when conditions are right. Fairway stress spots allow a longer ball roll off the tee, but they also make it tougher to put some spin on the ball for an approach shot. This is mainly due to the age of the property and types of soil used in construction. There is plenty of water being applied, however when the soil quality is not receptive because nature has not provided us rain, the result is numerous stress spots throughout most fairways. 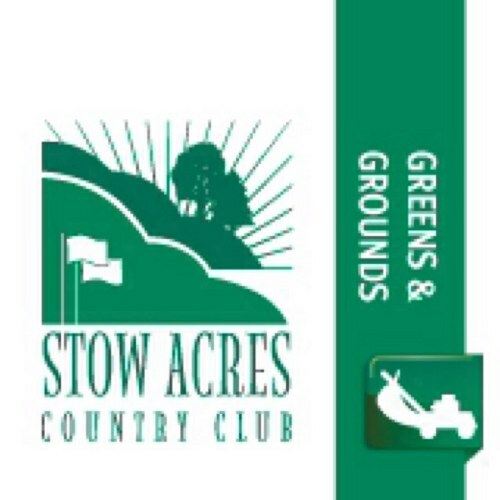 If you are looking to play firm, fast greens, adjust your playing style for hitting approach shots at Stow Acres this time of year. Thank you for your continued support as we enter the last few weeks of a crazy, hot, stressful summer. We will continue to work as much as needed to provide high playing conditions. See you on the course! Please click the links below as they will help describe some conditions around the country, we are not alone! Categories: A Word from the Superintendent... | Permalink.